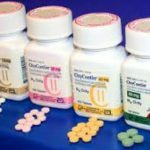 This guest post addresses a complex and emotionally-loaded issue: the link between pharmaceutical opiates (and the questionable way they’ve been advertised and marketed) and the current “opioid crisis” or overdose epidemic. Nick does a splendid job of recounting key milestones and contextualizing them within the history of Big Pharma. 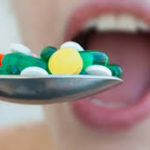 Before getting to this post, I just want to alert you to a fact-filled, beautifully referenced and highly detailed website: everything you ever wanted to know about drugs, alcohol, the disease model, addiction, and treatment. I’ve included this link in the list of relevant sites on my homepage. With the number of regulatory departments and protective measures in place today, we as consumers are inclined to believe that a product or service has been proven safe before it’s approved for public use. We’d like to think that if something turns out to be dangerous or harmful, the responsible party will be held accountable and similar situations will be prevented in the future. Unfortunately, in the complex and tangled world of pharmaceutical drugs, that is frequently not the case. Take for example Pradaxa, an anticoagulant and blood thinner most often prescribed to treat and prevent blood clots and reduce the risk of stroke following hip or knee replacement surgery. The medication managed to obtain FDA approval five years before its reversal agent, Praxbind (an antidote to Pradaxa designed to reverse its effects and prevent uncontrollable bleeding) became available, leading to incidents of severe bleeding and hundreds of deaths. Companies with ties to multiple other entities and those that have major influence on the healthcare economy are able to skirt the rules and make deals with federal agencies or court systems to avoid serious legal repercussions. Pfizer, one of the world’s largest pharmaceutical companies, marketed a drug called Bextra in 2001, a Cox-2 inhibitor. While the FDA rejected the drug at high doses for acute surgical pain, Pfizer and its marketing partner Pharmacia pitched it to anesthesiologists and surgeons anyway — at doses up to twice what the FDA had approved as safe. What effect have these historically loose controls had on the present overdose epidemic? Sidestepping regulations to bring potentially unsafe drugs to market is only part of a larger problem, and it isn’t the only method that pharmaceutical companies have employed in pursuit of profit. When it was released in 1995, Purdue Pharma’s now-infamous opiate painkiller OxyContin was hailed as a breakthrough in pain management. 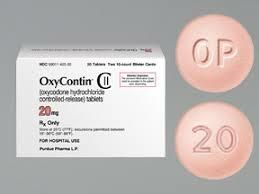 The active ingredient of OxyContin is oxycodone, a long-lasting narcotic with up to twice the strength of morphine (milligram by milligram). Prior to OxyContin, doctors had historically been reluctant to write prescriptions for powerful opioids outside of end-of-life care or acute cancer pain due to fear of the addictive properties of the drugs. In order to shift this perception, Purdue Pharma launched a massive marketing campaign to diminish concerns about addiction and to promote OxyContin as a safe treatment for an increasing range of ailments. At the forefront of the campaign, and differentiating OxyContin from other narcotics on the market such as Vicodin and Percocet, was the patented time-release formula — a characteristic which Purdue claimed was responsible for the drug’s purported addiction rate of “less than 1 percent”. This, employees of Purdue claimed, made the drug a safe choice for CNCP (chronic non-cancer pain) patients. In an effort to maximize the efficacy of their marketing efforts, Purdue compiled profiles of doctors and their prescribing habits into databases used to identify where their campaigns would have the most success. This aggressive marketing tactic coupled with an incredibly lucrative bonus structure for sales representatives (a range of $15,000 to nearly $240,000 on top of a representative’s average annual salary of $55,000 in 2001) led to a tremendous increase in the number of visits to physicians with higher than average rates of opioid prescription. While pitching OxyContin, sales representatives for Purdue even reportedly claimed to some healthcare providers that the drug, now frequently compared to heroin in terms of potency and risk of addiction, didn’t even cause a buzz. For millions of patients, a prescription for OxyContin provided crucial relief from debilitating pain. For many, however, addiction became so severe that the period of withdrawal between doses became unbearable — especially if the recommended dosage was exceeded. Purdue’s marketing campaign for OxyContin reached its peak in the early 2000s, and sales of prescription opioids (with Oxycontin in the lead) quadrupled between 1999 and 2016. During that same period, over 200,000 people died in the U.S. from overdoses related to prescription opioids — with many cases involving a mix of other drugs and/or alcohol. While federal regulations have since cracked down on OxyContin and tightened around pharmaceutical practices, the opioid epidemic is far from over. Patients addicted to prescription painkillers can eventually find them too expensive or too difficult to obtain, and may turn to other drugs instead — heroin in particular. Drug-related deaths are climbing at an alarming rate, and many can be linked to the addition of fentanyl to street drugs. But there’s little doubt that Oxycontin prescriptions greatly contributed to a wave of addictions that has yet to subside. With prescription opioids potentially serving as dangerous gateways to fentanyl-laced illicit drugs, it’s clear that attention needs to shift to pharmaceutical companies, hospitals and physicians. 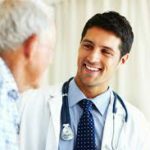 Doctors and healthcare professionals can help by screening and regularly monitoring for substance overuse or addiction, and by prescribing painkillers only when other treatment options have proven ineffective. Patients can help by never sharing or selling prescription pain medications, and by taking steps to ensure that they are the only ones with access to their painkillers. Friends and loved ones can help by monitoring patients for correct usage of prescription pain medications, staying alert for any signs of prescription drug overuse, and questioning and challenging potentially dangerous habits before they become entrenched. The battle can be won, but we all must fight together. The B.C. Coroners Service says more than 1,400 people died of an illicit drug overdose in the province in 2017, making it “the most tragic year ever,” according to the chief coroner. The preliminary total for the year is at 1,422 — an increase of 43 per cent from 2016 — but that figure will grow as test results continue to come in. Approximately 81 per cent of suspected deaths last year involved the opioid fentanyl. Lapointe said it was often combined with other illicit drugs — most often heroin, cocaine or methamphetamines. Thanks for these statistics, Christine. It’s important to keep track of the facts, and the role of fentanyl is huge! If methadone and Suboxone were easily available, these deaths would be cut at least in half. If heroin was legal (though highly controlled, of course) they would probably be eliminated. NONE of this is news! There will always be suffering and corporate parasites there to cash in on it. The world is a much more connected place access-wise and media-wise, so the problem is much more apparent and the stuff much easier to get. But it has always been there. And now that the leader of the free world is a wooden corporate shill, it is not going to change anytime soon, unless we do something to educate people. This relatively recent “60 Minutes” episode provides plenty of fodder for projectile vomiting at what our leaders and protectors will stoop to, basically…because they can. Not to mention, the lax oversight of ingredients and effectiveness the FDA pays to generic drugs, many made overseas. When I started on my current antidepressant that finally worked, I found wide differences in the effects of generics. I then discovered the FDA hardly monitors the ingredients in offshore generics, and does virtually nothing about monitoring and oversight of time release preparations. So this fluctuation in dosing…not good for my depression…forced me to rely on the “name brand only” for consistency and allowed my insurance to charge exorbitant co-pays up the ying-yang. Many healthcare providers don’t like to think of themselves treating or alleviating the pain of someone who is “making themselves sick” via IV endocarditis, etc. But they don’t want to withhold effective painkillers from people who are truly need them. I really think the way it’s going to change in our lifetime is a better understanding of what “addiction” is, and by education from an early age, and destigmatization of this truly human phenomenon. I’m with ya a 100%! Smoke and mirrors! The “opiate epidemic” that has finally killed 50,000 people per year (not that it’s not a lot, or tragic or what have you). While alcohol still kills more than 250,000 a year directly, not with health conditions. And tobacco kills how many? And sugar? And as you mentioned, all the other drugs they are pumping into everyone. A big issue I found with the FDA is they only regulate “acute” issues. Hence the reason the allow so many other chemicals that are known to cause long term issues … they don’t fall under acute. Sad sad sad. Thank you for your insight and for sharing! I agree with Matt that this is old news and we have talked endlessly about the malfeasance on the part of a few rouge drug companies. There is plenty of blame to go around but we need to focus on how to stem the alarming deaths from drug overdose. Opioid use has gone down considerably but may never go down to the levels of the early 1990’s. The drop in prescription opioids has been more than offset by illegal opioids like heroin, fentanyl and carfentanil. We have no strategy in place to curb or curtail the supply of opioids coming in from Mexico and China. In 2016, over 64,000 people died from drug overdose and another 88,000 from alcoholism! The 23 million people impacted by drugs and alcohol have little or no access to standardized medical treatment. Indeed, the ‘treatment’ is firmly outside the realm of medicine. I came across a very interesting commentary. 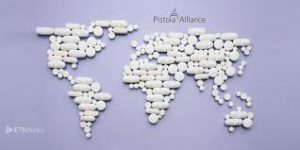 It is time we focus on how the present treatment infrastructure can be changed to bring effective treatment to the 23 million patients desperate for help. Ben Goldacre’s work on Bad Science at http://www.badscience.net shows how the whole system of clinical trials is manipulated. It’s all rather scary. what i find disconcerting is the current regulation of drugs like buprenorphine which can aid in overcoming the opioid dependence on oxycontin et al.. In the U.S., at least, it can be very difficult to even find a doctor who can prescribe it, and severe restrictions on the number of clients to whom the doctor can prescribe; yet, no such restriction exists for prescribing oxycontin, hydrocodone, etc. And why the insistence on classifying anyone who has a physiological dependence on a drug as an addict? 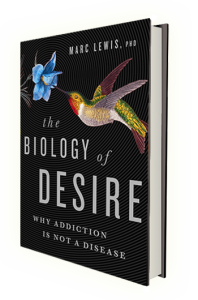 Simply having a dependence is not the same as a compulsive and obsessive relationship with a drug. These are excellent points, John. Thank you. And I don’t see anything morally wrong in prescribing to people in addiction whatever they need to stay off the streets. As long as those products are not generating new addictions. That’s the sore point, but it could be easily dealt with by strict monitoring and/or in-clinic use. And on the other side of the coin we see the emergence of shamelessly expensive, statistically ineffective, corporatized “Big Recovery”…Go figure. Habit, Relationship, Narrative and Compulsion is quite something. Was this part in your recent talk/debate with Nora Volkow? And if it was, how was it received? Ben Goldacre also wrote two books on the widespread misuse of science — . At the end of the day-seems to me that despite all the wonderful thoughts on here and Marc has spurred a really good path for wanting to jump on board the harm reduction train(except for this past article) people are still going to want to put their loved ones in a facility in which 90% are still 12 steps-even though they don’t work very well. What do we tell these folks. They’ll say-Well what does work?? And the answer is…. You could ask them to think back on how they themselves have ended very intense feelings of want and desire for something. Carlton- I appreciate your response and I think its a great start-but I dont think thats going to cut it. I know if my 15 y/o got caught with drugs-and his mother has said as much-the first thing she’ll do is put him in a rehab. 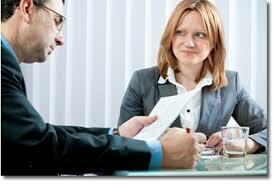 As a drug and alcohol counselor who embraces HR-I completely understand this reaction. i guess my next question is where? I know theres more of a choice out there now-not sure how complicated this could get. What will Insurance cover? God forbid it was opioids–MAT? It’s one thing to talk about how great HR is-but I dont know how much this talk translates into true effectiveness in treatment. Seems we focus a lot on theory. I guess this WAS the poi9nt of Marc’s last article-We embrace the disease model-lets work with models that do work. I spent a few weeks in-house at st Jude in NY, back in 2001, it was one of many programs/places I experienced, most of the others are closed now, but in hindsight, each place /program allowed for realizations to happen. Slate endorses St Judes I’ve seen as thats where he went and He’s pretty HR. And knowing you from posts on here-I have to say- your opinion holds some considerable weight with me. Whenever I say ads for it-I find myself thinking that this could be a place i would recommend. I’ve said this before-I got through a significant alcohol issue with mostly self help books -namely Peale-but also by having positive people in my life and by picking up information by being in the field. Addiction is so fucked up- I really dont think we know what it is still and it annoys me that we cant do a better job at defining it without it being so stigmatizing it. Im convinced me that treating it as a learning disorder would be less stigmatizing!